Yogurt rice or curd rice is a comfort food of South India. As it helps in digestion, it is usually served at the end of main course meals. Yogurt rice (curd rice) is offered as blessed food in many temples in Tamil Nadu. Yogurt rice from South India is famous for its calming and comforting palate. Yogurt rice can be prepared in many ways with different tempering options. Usually, curd rice will look like rice soup in yogurt. The rice will either be cooked to paste or the cooked rice will be mashed or broken. My hubby who likes the dish always wanted me to make the curd rice. But yogurt rice never felt appealing to me. 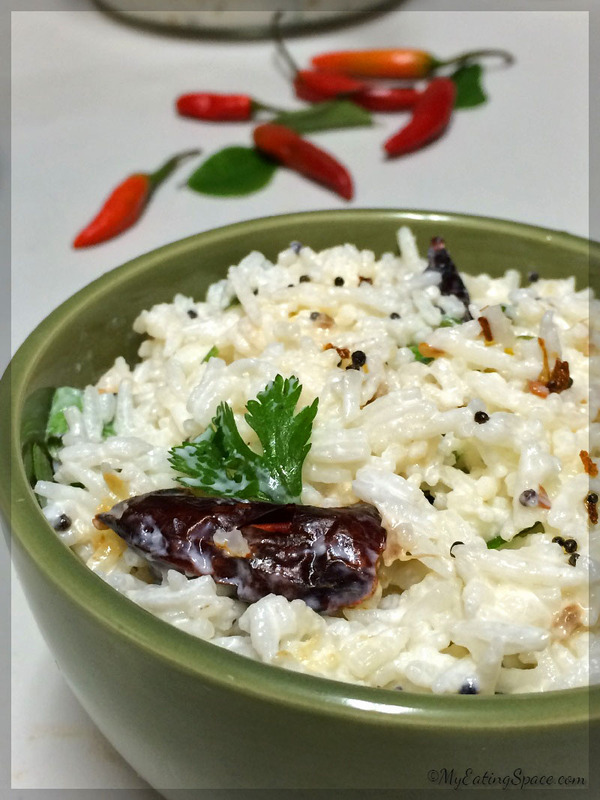 So I did a small makeover to the traditional South Indian curd rice. I make it with long grain or basmati rice without crushing the rice. 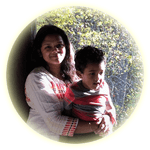 See how to Microwave Basmati rice and prepare Homemade yogurt. Also, the tempering in traditional curd rice includes black gram. But I made it a little simple with the easy ingredients almost available in any kitchen. 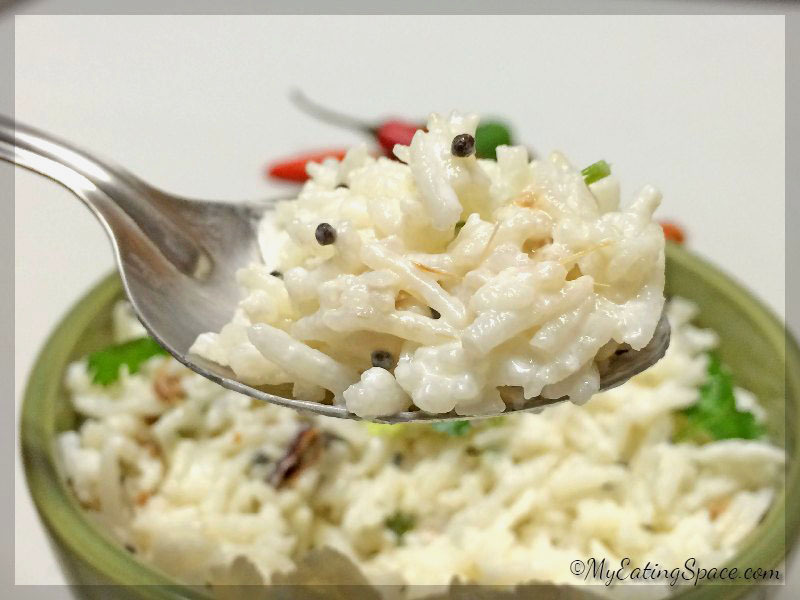 Watch the video on how to make a delicious yogurt rice and the printable recipe continues. 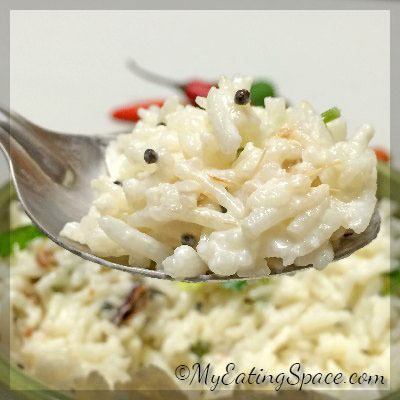 Yogurt rice or Indian curd rice is a healthy comfort food from South India. The dish is very easy to prepare and is easily digestible with the spicy edible tempering. Then cut the dry red chilli into pieces and add it to hot oil. Stir for 10 seconds. Then add the chopped ginger and cook until slightly golden brown, stirring occasionally. Now add the green chilli and mix well. Now switch off the flame. Add the curry leaves and stir well. Remove from stove and keep aside. Now take the cooked white rice in a large bowl. Add the yogurt and salt into the rice and mix well. The rice must be cool while adding the yogurt to avoid the chances of curdling. Now add the tempering into the rice-yogurt mix. Mix well. Garnish with cilantro. Enjoy with your favorite pickle. Use a large bowl to mix everything together so that it will be easy to stir. Also add yogurt only when the rice is cooled completely or the yogurt will look curdled. Usually yogurt rice will be more like a yogurt-rice soup. Since I don't like it that way, I added a little less yogurt. If you like it in soup form, add 2 cups of yogurt instead. The advantage of the the given recipe with less yogurt is you can microwave the yogurt rice for 10 seconds, right before serving without curdling the yogurt.